I don’t know why it seems that I have to travel to some country far away from home to learn the most basic, yet essential life lessons? On my recent trip to Montego Bay, Jamaica, I learned more about the power, beauty and wisdom behind being flexible. I traveled to Jamaica for a series of reasons, including being a part of the biggest missionary team to ever take sail to the seas. More than 3,000 people including well known musicians, speakers, authors, comedians and pastors traveled with me into Montego Bay with http://www.praisefestministries.com/ . However, God wanted to teach me about flexibility instead. I didn’t realize that upfront. As the trip approached, it unexpectedly became impossible for my friend and I to join the prison teams actually because they only had one spot left and I didn’t want to leave my friend behind. So I was directed to become a leader on one of the school ministry teams. Our group sent teams into over 100 schools in Jamaica under the cooperation of their government leaders. We sought to share the pure message of God’s unconditional love for the world, as demonstrated by the life, death and resurrection of His son, Jesus Christ (see John 3:16-18). This was to be done by each team leader speaking to their school, and the other team members singing songs of worship/praise, while offering one-on-one discussions as desired by the students afterwards. To coordinate such a massive effort with tens of thousands of students all across Montego Bay in a couple days, it required much planning. Forethought towards attention to details was discussed amongst our leadership teams, so we knew how things were suppose to go timing and implementation wise. For a planner like me this was understood and valued because I spent hours preparing and in prayer personally before I delivered my message. Yet, I was reminded again about flexibility. Pretty much every detail that was planned went differently than we expected. Many of our main goals could not be accomplished due to time shifts and constraints. I even had to react on the fly to giving my message in less time than promised only minutes prior. God helped me to see that as I spoke to the boys at Cornwall College that my need for His empowerment and leading was critical. I needed to be flexible, and pour out my heart within the circumstances I faced. I was left to trust in His ability to penetrate their hearts in a meaningful way, since we were not able to give our gifts nor have one-on-one discussions afterwards because of their exams schedule that were being administered that day. I am thankful for many things on this trip. 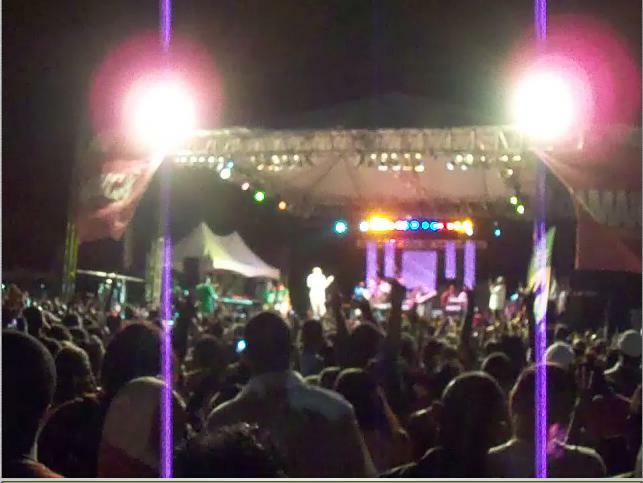 We were a part of over 20,000 people coming to the largest music festival o ever hit Montego Bay. We were able to have meaningful conversations on the streets of Howard Cooke Highway and Harbor Street with locals who were in desperate physical need, and/or in need of prayer/love. However, nothing was more impactful to me than what I learned about flexibility. God showed me how much beauty, power and wisdom can be found in being flexible. As I return home, I am reminded that a life of greater joy and contentment can be lived when we are truly flexible. Each day, many of us try to control way too much, rather than placing the results of the day where they belong…in God’s more than capable hands. Will you be flexible today and trust God? 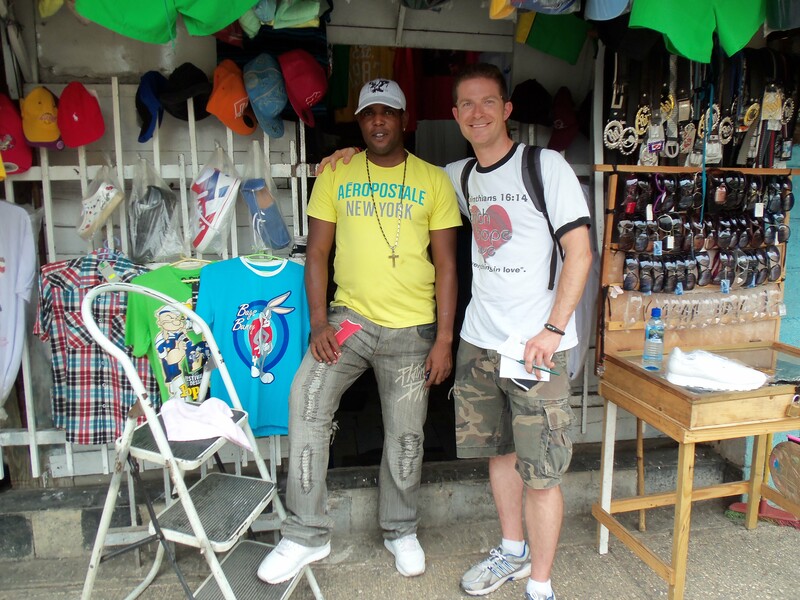 Posted in Spiritual Insights, Travel Blessings and tagged Christian Cruises, Evangelism and Witnessing in Jamaica, JamaicaFest 2011, missionary trips, Missionary Trips to Jamaica, Praisefest Ministries on June 3, 2011 by joesharp.